Recently, while facilitating a caregiver workshop, I asked the caregivers how they were REALLY doing. Each shared with me how honored and privileged they were to care for their elderly parents. However; when I shared the strain I had felt while caring for my grandpa, each took a deep breath and agreed. One woman wept as she shared how hard it was to give up her work, home and friends to move across the country to help her mother. Her sadness and loneliness resonated through each of us. Caregiving is hard. It doesn’t negate the fact that you love the person and want the best for them, however; in the same light most caregivers feel overwhelmed, depressed, stressed and feel alone. Many wish that someone else could take over the care, not that they would let them if they did because they are so engross in their need to “control” an uncontrollable situation. When I wrote my first book Along Comes Grandpa, my initial writings sugar-coated my experience. As a “professional” in the field and having helped hundreds of families who had gone through the same experience, as well as being a public speaker on issues related to careigiving and aging for several years, I wanted to make myself “look good”. However; I realized that by creating this facade of a happy, easy-going and carefully planned caregiving experience I would burden my readers with more guilt, frustration and doubt. I chose instead to write a REAL resource that would let them know they aren’t alone, I’ve been there and I know what they are feeling. Since writing the book I have received wonderful feedback from caregivers who have written and emailed me to thank me for my candor. I have also received criticism from others who were horrified at how blunt I was in sharing the good, bad and ugly. Nevertheless; what I wrote was real. Hearing about struggles people face is prevalent in our society, however; it’s relayed in a way that shares the triumph of the person after they have gone through it. Much of caregiving is stressful, exhausting and overwhelming; and the reality of the triumph of having gone through it only comes when someone we love has died. That is the truth. There are no cheers when we walk in the room after our caregiving journey is over, no one will pat us on the back and say “Good job! Way to go! You did it!” It’s just over. Then another journey begins grief. 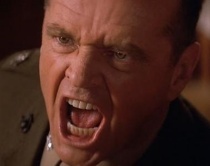 One of my favorite lines from a movie was spoken by Jack Nicholson “You want the truth? You can’t handle the truth”. I like it because it applies to real life, we can say we want the truth, however; when someone actually tells us the truth and it’s messy, ugly and difficult, we probably will wish for some sugar-coated version. This entry was posted in aging, boomers, health care, work/life/flex and tagged aging, boomers, elderly, health care, healthcare, healthcare crisis, support, work/life/flex. Bookmark the permalink. This is an excellent article on some of the options available to caregivers.